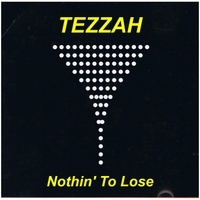 First released in 1996 this 3 song EP was re-mixed and re-released again in 2000, prior to the release Tezzah's album "I Used To Be Jungle, But Now I'm Rock 'n' Roll". Terry "TEZZAH" Harris is a Guitarist, Singer and Songwriter. Playing guitar from the age of 14, blues and rock music have influenced his writing and style.